Irish Hills Farm has joined Queenwoods Stables. 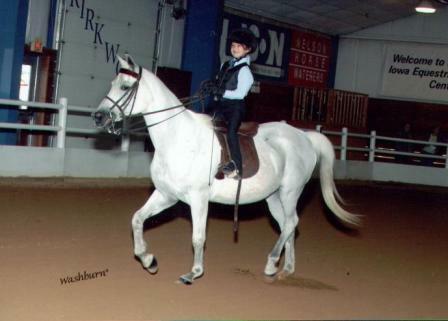 All lessons will be taught at Queenwood Stables in East Peoria. 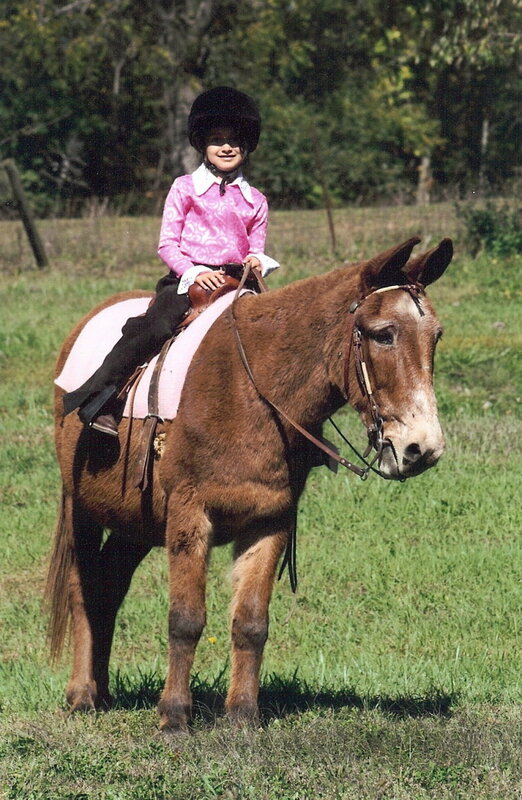 Students will continue to receive the same great riding lessons with SAFE lesson horses. *It is sport you can do your entire life. *It is improves eye/hand coordination. *It is FUN, FUN, and MORE FUN! What Type of Lesson Horses are used for Lessons? 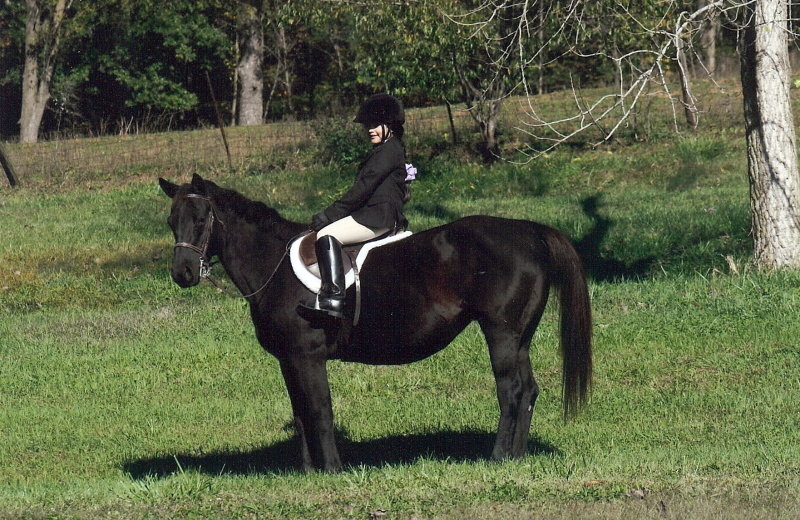 Irish Hills Farm offers a variety of lessons horses including the beginner horse, the been there done that lesson horse, and the intermediate to advance lesson horses. 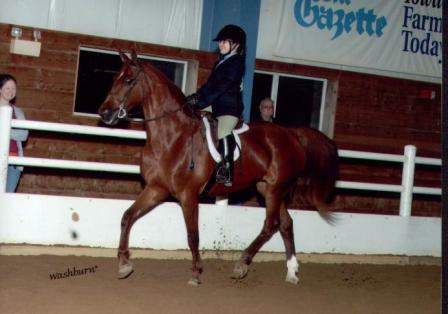 We have lesson horses with experience in Western, Hunt Seat, Saddle Seat, Sidesaddle, Driving, Jumping, Dressage, Showmanship, and games. Currently all of our lesson horses have some kind of show ring experience -- local, 4-H, A-rated shows, National, and International. Several of them have won championships and high point awards over the years. What Should I Wear To My Riding Lesson? *Wear riding pants (KY Jodphurs, Breeches, Jodphurs, or Western pants) or jeans. *Wear a riding boot (Jod boots, field boot, or cowboy boot) or a shoe with hard soul and heel. *Wear an approved riding helmet (ATSM/SEI). It is required of all ages and levels. *Groom and tack-up my horse before the lesson. All students are taught how in the first few lessons. *Groom my horse before putting away. What type of seats and level of riding available? 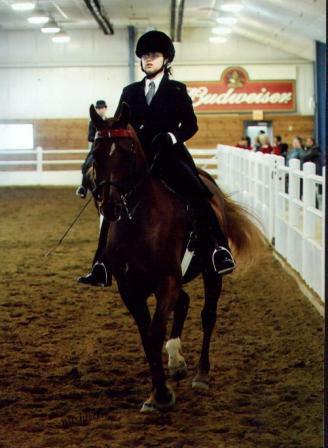 *Instructor with over 20 years of experience with a variety of breeds of horses and style of riding (Saddle Seat, Western, Hunt Seat, Sidesaddle, and Driving). *Safe lesson horses available for different levels of riding. 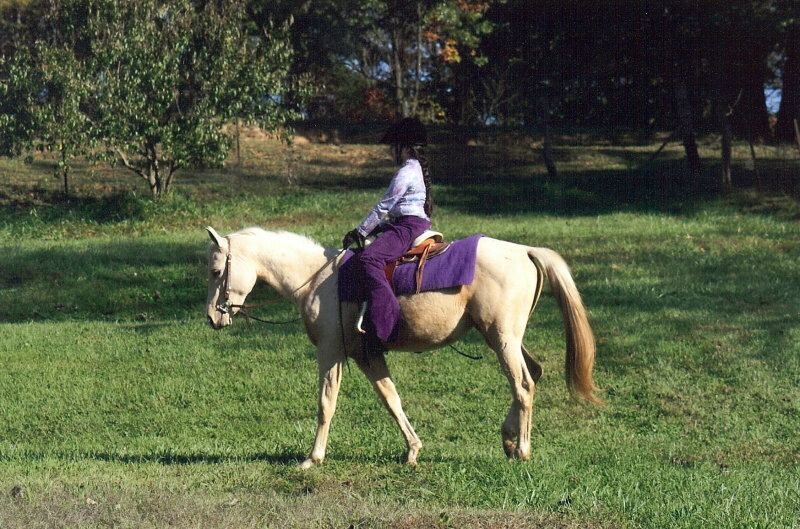 Sidesaddle - a lady rider rides in a sidesaddle of any the three above seats (Saddle, hunt, or western). The saddle has a horn and a leaping horn that help keep the rider secure. It is recommended for more advance riders. Driving - is a driver rides in a cart that is pulled by a horse. We do have beginner horses available to learn to drive.